I hope you have a love filled day. I love barbecue sauce, and since I'm not supposed to eat sugar, I make this delicious and super easy Low Carb Barbecue Sauce. It is so amazing. My family doesn't even care that it's Sugar Free and they love their Sugar. It is delicious on chicken, pork and beef. I make a great delicious crock pot pulled pork that I will share with you another day. 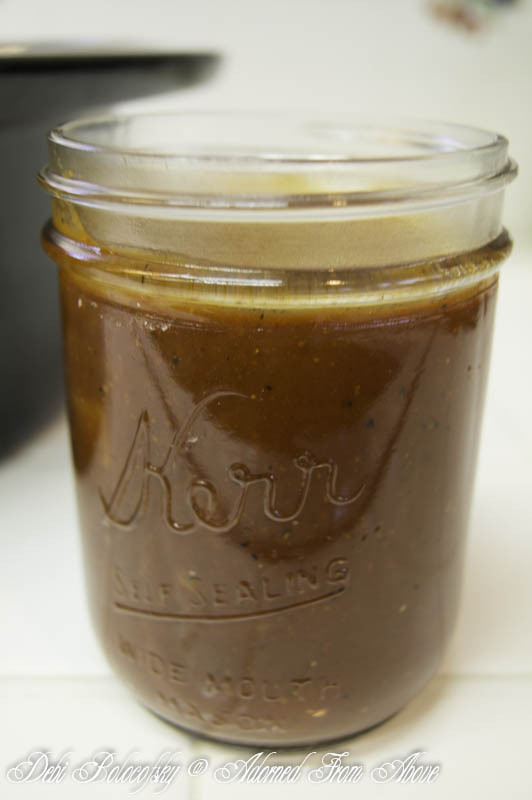 For today, enjoy this great Sugar Free Low Carb Barbecue Sauce. Melt butter in a sauce and add the onion and cook until translucent. Next add the garlic and cook for another minute. Add the rest of the ingredients and cook for 30 minutes. I put this in mason jars and use as needed. It will keep in the refrigerator for 2 weeks. 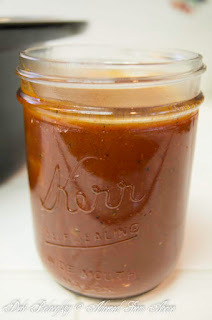 This Low Carb Barbecue Sauce is so good, and really easy to make as you can see. I hope you like it as much as we do. I always love hearing from you. I'm just swinging over to wish you a Happy Valentine's Day. Thanks so much. Let me know if you like it. I always love hearing about the recipes. My husband does low carb so this is a great recipe! Pinned to my Low Carb board. :) I would love for you to stop by toddlindsey.com and check out some of our low carb recipes as well on the right side bar!!! I'm sorry that it wasn't clear. I turn the heat down and let it simmer. Molasses is sugar. This is not super low carb, but it looks good. Yes, you are correct, molasses is a sugar, but it is not a processed cane sugar. I also have only used 3 TBs to 48 oz of liquid. It helps enhance the flavor. It is a low carb recipe, not a carb free recipe. It was delicious, I hope that you will give it a try, but I understand if you can not have any type of sugar this might not be the best recipe for you.